The University of Sheffield in the UK has banned 93 students between 2017 and 2018 for downloading pirated content. The action was taken against the students after an anti-piracy organization informed the institute about the students’ activity. The statistic was obtained after The Tab Network submitted a legal Freedom of Information request. Downloading or distributing copyrighted content is not taken lightly in the UK with individuals facing harsh penalties and even prison sentences. However, for the first time in the country, 93 students have been suspended after they allegedly downloaded pirated content. In 2017, a piracy case involving a UK student made international headlines after she was caught downloading and sharing a pirated moving using university Wi-Fi. The downloads were being monitored by an anti-piracy company that was working for the Hollywood studio that owned the movie. It led to the student receiving a 20-day ban from Eduroam, which is a global roaming access service in the education and research community. The reported incident was not the only suspension handed to a student according to a report by The Tab Network. 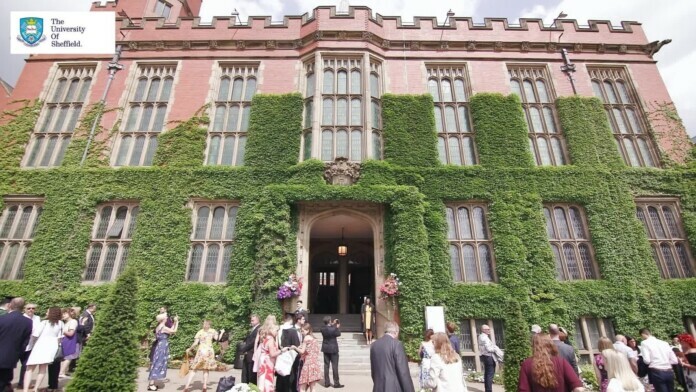 According to the reports from the organization, 93 students from the University of Sheffield in the UK citing copyright complaints between 2017 and 2018. The information was unearthed upon using a Freedom of Information request. Anti-piracy companies are not only active in the UK but also in all of Europe and the US to catch infringers, even if they are students. It is rare to see action being taken against individuals who download pirated content. While the students broke university policies, it is up for debate if they deserved to have their education disrupted due to their alleged activity. What do you think about the University of Sheffield suspending students for downloading pirated content? Let us know in the comments below. Don’t forget to visit our socials on Facebook and Twitter, where the heart of our online community beats.